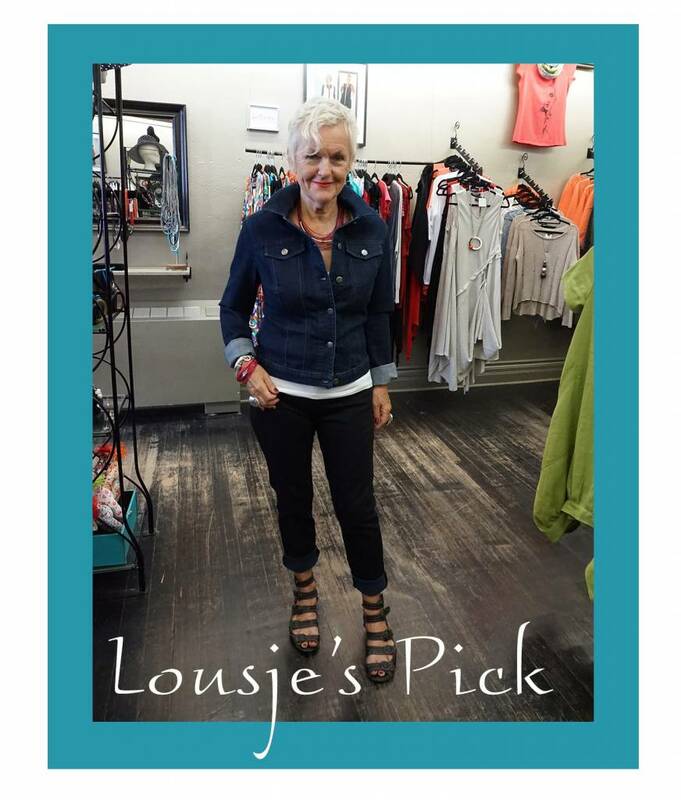 We're back again for Lousje's pick! This week is all about casual style that is both comfortable and stylish. If you read our blog post this week on one of our favourite outside brands that we carry in the store, Yoga Jeans, you already know our love for this line. The epitome of comfortable chic, their pieces are made to flatter women of all ages, body shapes and walks of life. This look begins with a foundation piece that is so versatile and universally flattering that it could be the base of every outfit you ever wear. From C'est Moi, this Reversible Tank Top comes in 18 different colours, (Lousje is rocking the white here) and is designed with a Scoop neck on one side and V-neck on the opposite so you can switch it up based what you pair it with. Adding a Classic Yoga Jeans Jacket makes this look timeless, yet playful. This is a jacket you will own for years to come but will feel like it has been lived in since day one! These High Rise Skinny Ankle Yoga Jeans are flirty and fun. With diagonal stretch, this denim embraces your natural curves, giving you the perfect fit. This look is completed with a red and pink mixed, waxed linen bracelet and necklace from another Canadian favourite, Moth Jewelry, carried exclusively in the boutique. Effortless style marries ultimate comfort in this classic look that will take you through every season, year after year. Share how you wear your favourite classic and casual pieces in the comments and stay tuned for next week's pick!